I am back and settled in UK again! As always I want to share something that I have discovered, or in this case rediscovered! Initially 10ish years ago when I first went natural, curl activator was great for short hair. My hair does not form ordered clumped up curls, so this is not what I used it for; it was a moisturiser and styler for me. However when my hair got longer, it was a real hindrance because the high glycerin content and water made my hair shrink and this did not help in styling or handling hair. Fast forward to 2013 and I have rediscovered that all I need to do is use less and spreading well. Borrowing my own tip of the coconut oil fingertip tip (haha how many times can you say tip in a sentence), I have found that I can use curl activator without it causing my hair to shrink. The softness is incredible and it lasts for days! I think if you are struggling for a moisturiser or if you have previously used glycerin and didn't like it, try out the fingertip tip! For more information on glycerin (the active ingredient in curl activator), see this previous post. One of my fav products! People laugh when I tell them about it, then come back with their head low saying "you were right." I love this stuff! Yay! Welcome back! I've been stalking your site, waiting for new posts for what seems like forever. Interesting tip! When did you apply the coconut oil: after using the Curl activator or before using the Curl activator ? I used coconut oil after. I applied Scurl with the fingertip tip. Thanks for sharing, glad to hear you're settled back here! I love this stuff, it keeps your hair so soft. I use it as a fill in to stretch my expensive products. Especially in protective styles! I saw good reviews on youtube and also read sum articles that were praising this product, i the decided to buy it and give it a try. However i was scared to use it, until reading ur article. To be honest i prefer an objectieve revies above subjectieve review on a product. Cant wait to use it after taking my braids down. ThnQ for posting this! The list of ingredients in this product....seemed to suggest that it was not necessarily natural. I am now curious now that I've seen you post this article about it and your use for it as a moisturizer. hmmm....I am confused about the whole movement involving natural hair products vs. hair products that indulge in cones etc.. Tough decision. My hair is natural but I do not subscribe to the 'all natural' product movement. I love silicones in my shampoo and conditioner because they give amazing slip. I love behentrimonium chloride which some think is purely natural although it is actually a lab modified surfactant from coconut oil/palm oil. I am not bothered by parabens either, I prefer a preservative to an infection, plus if it is good enough for blueberries, I don't mind either. i've always been afraid to use s-curl because of the glycerin and the crazy humidity where i live, but i maaaaay dabble in it since you said your hair didn't shrink! i used to love using braid spray as a moisturizer, but stopped as humidity ruined my styles and shrunk my hair. A really small amount is the key, like literally one teaspoon for your whole head. Just work in small sections with a finger tip at a time for good distribution. I have this somewhere in my house but I have never used it. I will try it and report back. Especially on my 4c ends. At the moment am in love with Lush hair/skin products. My hair also doesn't seem to mind cones. Am currently using Tressemme Keratin hair therapy (something like that) and my hair seems more manageable. Oooo that is a loaded question Deevelyn. Can you really say that if you apply a product to your hair, you will completely not touch your scalp? In my view if you use a hair product on your hair, you should consider that it will contact your scalp. Many chemicals natural and created can penetrate skin e.g coconut oil, proteins, parabens, SLS etc The scientific decision on whether a product is safe or not is usually based on lab tests and history of usage. 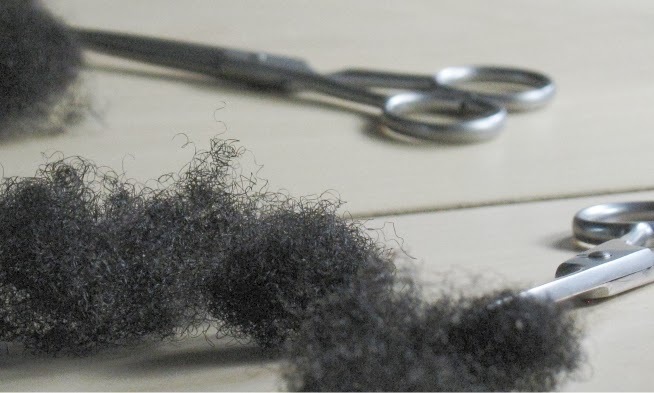 Some products can produce a known toxifier but if it is in very low quantities or not easily absorbed and easily washed off, then it can be deemed safe..........I could go on for ages, I think I should write a post about this. Thanks for the thoughtful response...I'm sure a post on this would help many. I've had good results in the past using curl activators, commercial leave-ins, etc., but since becoming enlightened about toxins in so many products, I'm like a deer in the headlights when in the hair care aisle...and even more so for my little girls' natural heads. I just don't have the time or expertise for long-term DIY, but we need to be safe and look good....aaarrrrggghhh!! 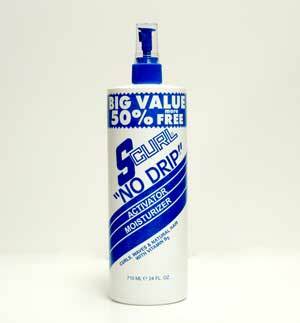 I used a curl activator, not the scurl though, just a curl activator moisturizer. & once i flat ironed my hair natural, it has never went back to its natural state of curls. do you possible know why, and how to reverse it back to my natural curl pattern? Doesn't the new formula now have DM/DM hyandton which is a form of formaldehyde? Have folks tried Long Aid Activator Curl Gel. I tried the Scurl stuff which wasn't bad but the gel really saturates your hair. Also the extra dry version has tons of glycerin in it - and literally I don't have to use any other product. The only con is stickiness but who cares. Moisturized hair, popping curls - no frizz - not a ton of shrinkage. Thousands of products later I found this at CVS. Now I need to figure out what to do with that whole bottle of Glycerin in my bathroom. I am 4 years natural and when my hair was shorter, my hair craved Long Aid. I left it alone for a bit to experiment with other oils and activators (i.e. coconut oil, olive oil and hair creams). I have no reverted back to using Long Aid Curl Activator and I mix it with Grape Seed Oil, I have a hair crush on my own hair. ♥ My curls are beautifully defined and moisturized. Yes, there is a little tact to the Long Aid, but the mix with the Grape Seed Oil keeps my hair moisturized and all I do to maintain the style is to 2-strand twist at night and cover with a satin bonnet. I untwist my hair in the a.m. (I do not further separate the 2-strand twists). My hair turns out fabulous. This appears to be the only combination that I have found that leaves my hair moist and it does not feel crunchy at all.